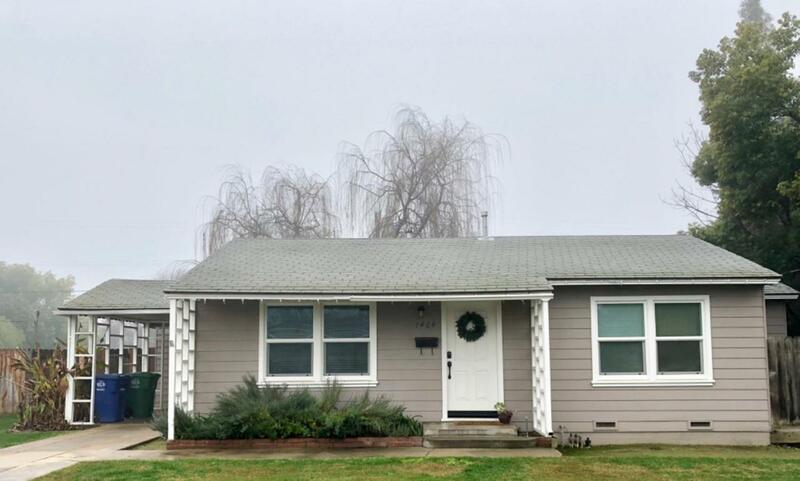 One of the cutest 2 bed 1 bath homes in Kingsburg, featuring fresh paint inside and out, updated bathroom with tub and shower surround, indoor laundry room, laminate wood flooring in living room, hallway, kitchen and laundry, and new dual-pane windows. Enjoy a cozy backyard with covered patio area, front and back sprinklers, fenced in side yard perfect for RV parking, and detached garage. Great starter home in a great location!! Listing provided courtesy of Katherine Workman of Solid Oak Realty, Inc.